It's rainy and getting cold, and it's been officially fall for more than a month now, so I'm finally ready to let summer go and get excited about fall flavors and celebrations. (Plus, we are getting tons of squash in our CSA box every week and I've been playing with fall squash recipes and toasted seeds!) I have cooking with/for friends planned this weekend, and it will involve a lot of squash and pumpkin! Plus, Happy Halloween! 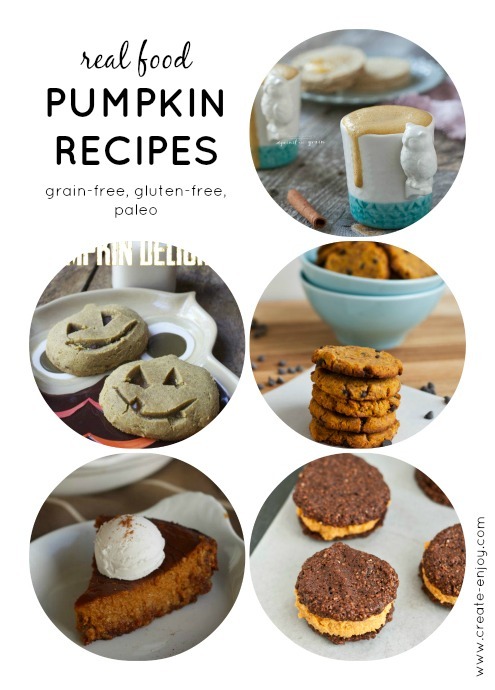 Here are some wholesome real food (unprocessed, low-irritant) pumpkin treat recipes that are perfect for the weekend. 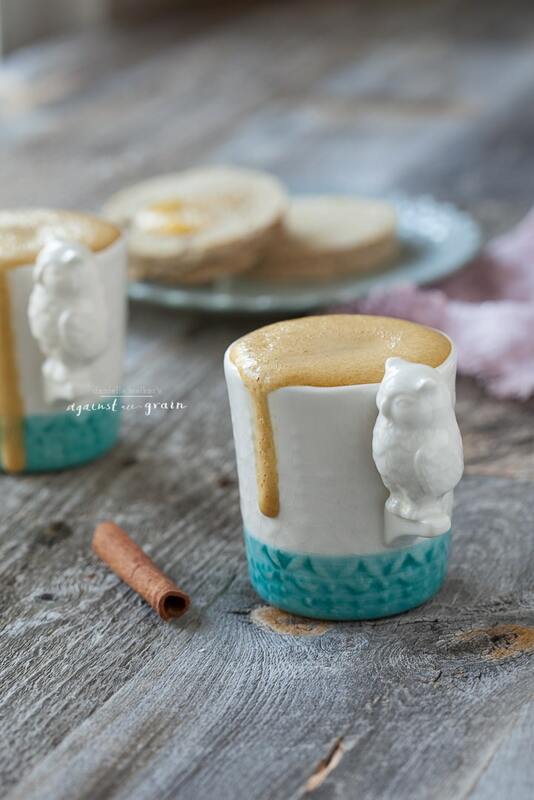 Totally intrigued when I saw this recipe for a pumpkin spice latte--with actual pumpkin in it! 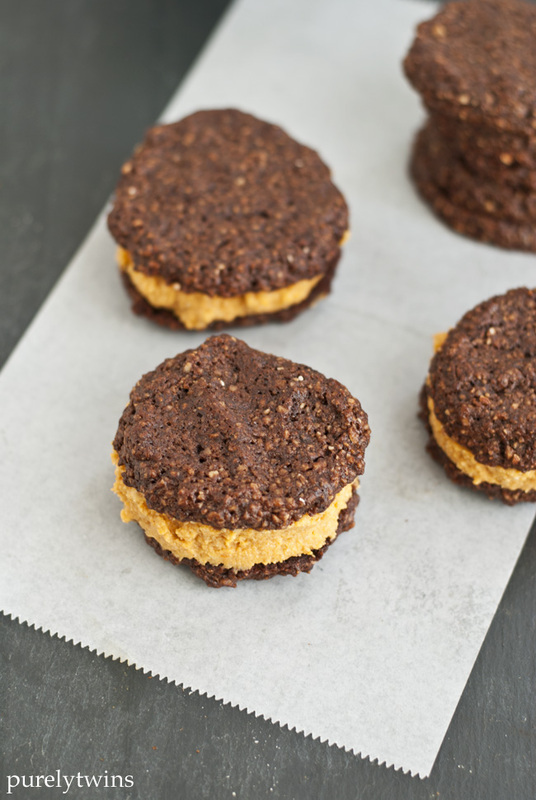 Oh, and an even more decadent pumpkin-ey cookie idea also from that blog: chocolate hazelnut pumpkin peanut butter cookie sandwiches. Wow! 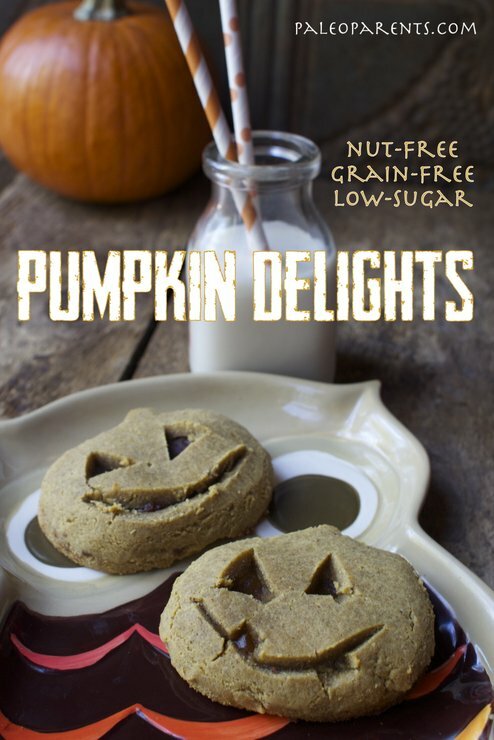 I also found this very cute grain-free version of Pumpkin Delights - cute faces and all! Fill with apple butter or pumpkin butter. Can be made nut-free as well. Cookies aside, you could get real ambitious and practice for Thanksgiving with this Eggnog Pumpkin Pie with Gingerbread Crust. The crust sounds easy and delicious and is made with almond meal. Inspired yet? Happy holiday baking season, it's started already! Not much of a pumpkin fan, but the latte and cookies...? Well, I just like lattes and cookies. 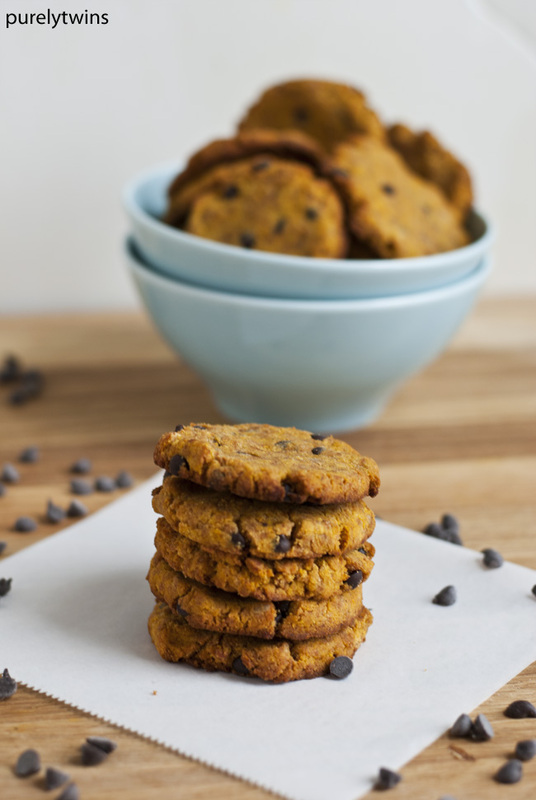 I have coconut flower I don't know what to do with, so using it in pumpkin choc chip cookies is a great idea! THanks. Those sandwich cookies sound real good. Jeremy isn't much of a pumpkin fan so I usually don't bother since I will be the only one eating it. It is tricky to bake with! You can only use a few tablespoons without adding lots of extra butter or almond butter or something to keep it from being very dry. So you can't substitute it for other flours, but it is great texture in moderation!